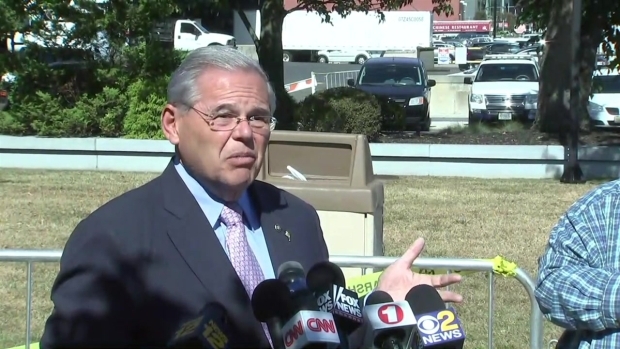 The judge in the bribery trial of U.S. Sen. Bob Menendez on Monday declined to toss out charges against the senator, despite doubts about a legal concept at the heart of the prosecution's case. Brian Thompson reports. The judge in the bribery trial of U.S. Sen. Bob Menendez on Monday declined to toss out charges against the senator, despite doubts about a legal concept at the heart of the prosecution's case. 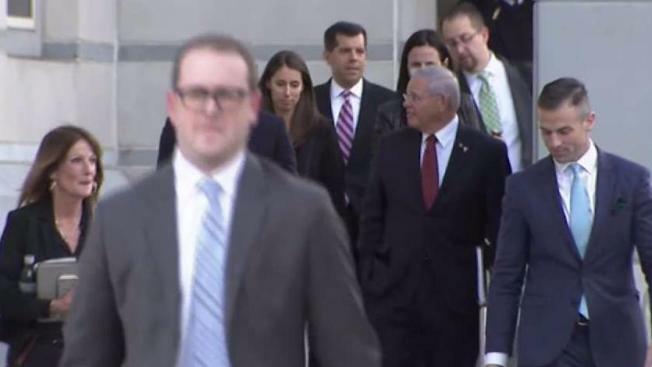 After hearing six weeks of testimony and viewing dozens of emails and documents that prosecutors allege show Menendez schemed to help a wealthy friend in exchange for free plane rides and luxury hotel stays, U.S. District Judge William Walls said Monday he would not dismiss the indictment against the New Jersey Democrat. Walls acknowledged earlier this month that the effect McDonnell already has had on corruption prosecutions. The indictment charged Menendez accepted the flights on Florida doctor Salomon Melgen's private plane and other gifts over a seven-year period in exchange for pressuring executive branch officials on behalf of Melgen in an $8.9 million Medicare billing dispute and a contested contract for port screening equipment in the Dominican Republic. Defense attorneys for Menendez and Melgen contended language in the McDonnell decision requires that an alleged bribe be given in exchange for an official taking an action —or agreeing to — on a specifically identified "question, cause, suit, proceeding or controversy."